(3 p.m. GMT) -- Carnival Cruise Line is returning to Europe for a handful of Mediterranean cruises in 2020 following the $200 million drydock of Carnival Radiance in late April 2020. The ship, currently sailing as Carnival Victory, will come out of the 10-day drydock in Cadiz, Spain, with a 10-day Mediterranean sailing from Barcelona. This will be followed by nine- and 12-day departures visiting top destinations throughout the region, including Italy, France, Croatia, Greece, Malta and Spain. 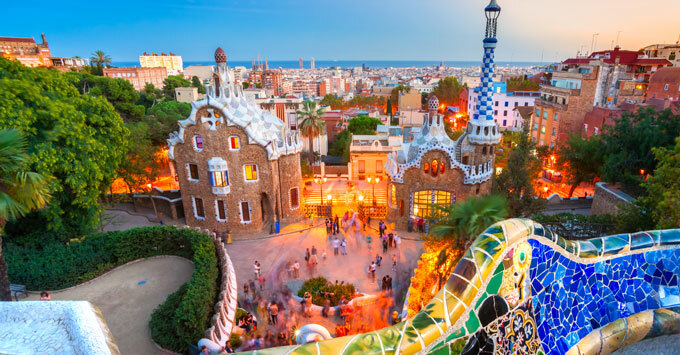 The ship will then embark on a 13-day transatlantic crossing from Barcelona to New York from 11th to 24th June 2020, positioning the vessel for its inaugural season in New York. Carnival Radiance will also offer nine-night Cuba cruises from New York in June 2020. It will also sail a series of four- and six-night Bermuda cruises; eight-night Eastern Caribbean sailings; and a number of Canada/New England cruises in the autumn to ports like Boston, Portland, Saint John and Halifax; a four-night cruise to Saint John, New Brunswick will be offered in the summer. The ship will then reposition to Port Canaveral, where it will offer a winter season of six- to eight-night Caribbean and Cuba cruises beginning November 8, 2020. These sailings include six-night Cuba cruises with overnights in Havana; six-night sailings that include Grand Cayman and Amber Cove; and seven- and eight-night Southern and Eastern Caribbean cruises to Aruba, Curacao, St. Kitts and Grand Turk. Meanwhile, Carnival Sunrise will undergo its major refurbishment in March 2019. Beginning May 21, 2020, Carnival Sunrise will sail the line's first voyages to Cuba from New York City, spanning nine nights and including an overnight call in Havana with stops in Half Moon Cay and Nassau. "We want to offer Cuba from more homeports," Carnival's COO Gus Antorcha told Cruise Critic. "There is demand for those itineraries … It also opens up different types of ports and itineraries for past guests." When they re-launch, Sunrise and Radiance will feature a host of exciting onboard amenities -- from refreshed cabins to waterslides and ropes courses; Carnival Radiance also will debut the all-new Big Chicken restaurant helmed by Carnival's own Chief Fun Officer, Shaquille O'Neal.